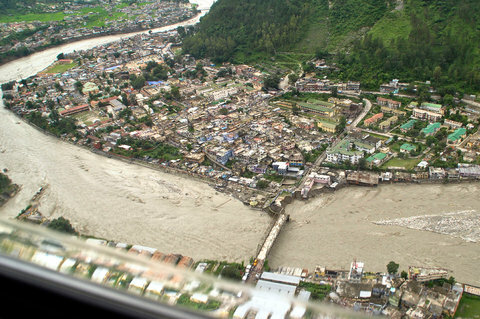 Uttarakhand Floods is probably the most debatable topic currently. Environmentalists believe that this is a man-made disaster. Chandan Das explores the topic in a similar strain. He believes that human beings have dug their own graves by invoking the wrath of Nature! Ok I will start with a Fact: The Himalayan region is home to several major Hindu pilgrimage centres – beginning from Rishikesh and Haridwar where the River Ganga first flows out into the plains. Every year thousands go to do the Char Dham Yatra. On 15th June 2013 a calamity “Himalayan tsunami” arrived and a tragedy struck Uttarakhand that was waiting to happen for a long time now. 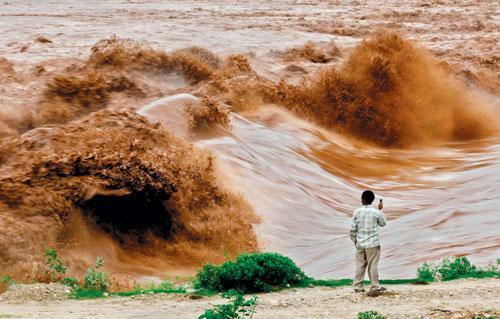 The rivers flowing across the famed pilgrimage sites became so furious that they submerged whole towns, washing away shops, homes, hotels and lodges. Buildings collapsed like pack of cards as swollen rivers pounded down the denuded hills making a poignant view. 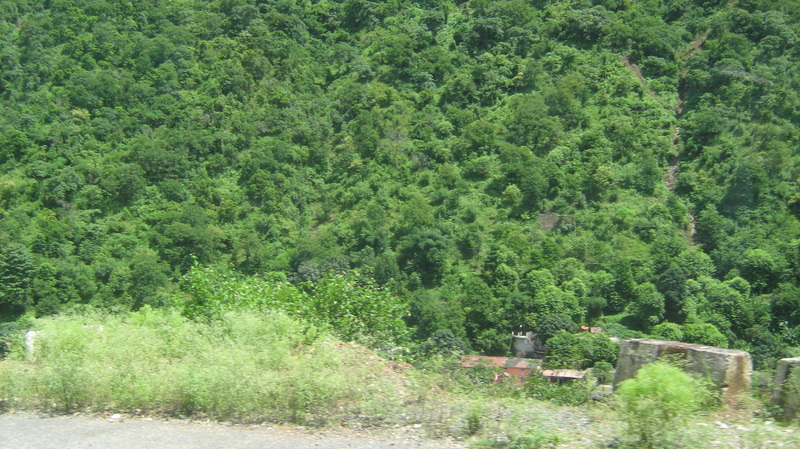 The lofty green mountains, that would inspire even a deadpan to break into a song earlier, became barren. Today, as I write this , almost 62,000 of pilgrims have been left stranded, 1000 plus lives have been lost (oh yeah, the toll is likely to rise), property worth crores and the world-famous pilgrimage Kedarnath, located at a height of 11,760 feet , has been damaged by the latest fury of the monsoon. But here is my point: The injustice man did to the rivers in the name of development have left the beautiful water bodies seething with anger. It seems like Nature wanted to restore the balance that was disturbed by rivers having to change their course and due to blocking of their natural flow in the name of progress!! So is it just a Nature’s fury or have we dug our own graves? The Uncontrolled Traffic: Do We Have the “Capacity”? 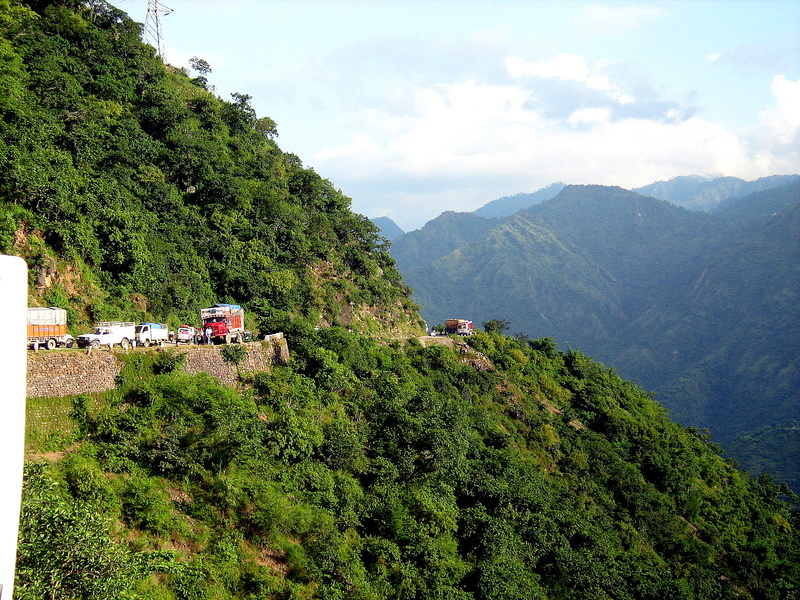 The valleys of the Yamuna, the Ganga and the Alaknanda witness heavy traffic of tourists. In any normal day, if you sit at the Prayag bridge for tea and start counting, one will notice 80 buses crossing in about 5 minutes. 80 buses in 5 minutes?? Yeah you heard it right!! 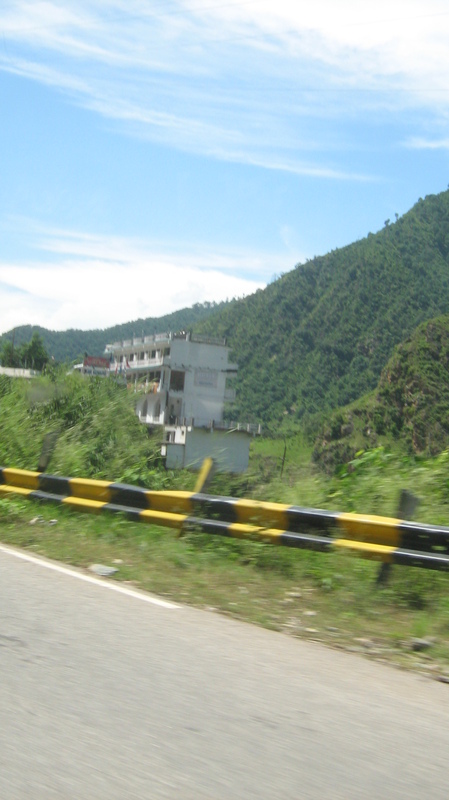 Figure this: In 2005-06, 83,000-odd vehicles were registered in UTTARAKHAND. The figure increased to nearly 180,000 in 2012-13. Out of this, proportion of jeeps, cars and taxis, increased the most. In 2005-06, 4,000 vehicles were registered, which jumped to 40,000 in 2012-13 – a whopping 1000 per cent increase!! The heavy pilgrim population has also resulted in the mushrooming of shanty towns, numerous ramshackle buildings and cheap accommodation along river banks. It’s a known fact that there is a straight co-relation between tourism increase and higher incidence of landslides. Road contractors, who come from outside, do not understand the mountains. Most of the expressways that are being constructed now are tangled in legal cases. 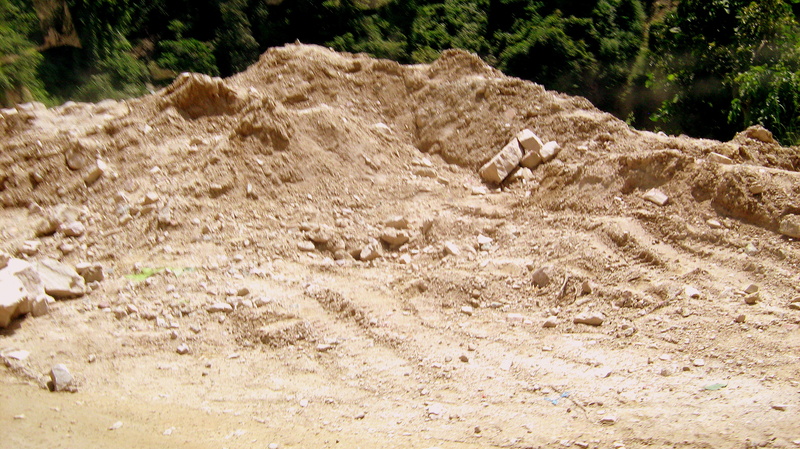 After cutting of mountains, landslides continue for up to four years, and contractors go bankrupt clearing the debris. 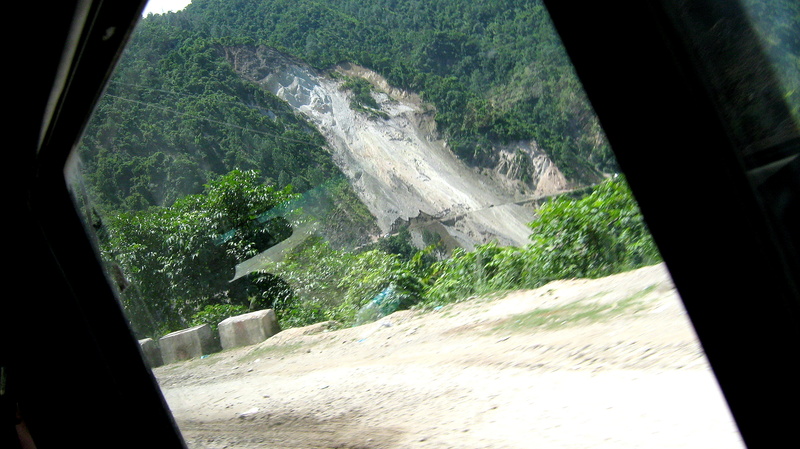 We see more landslides nowadays because of unplanned development in the hills. Most of these places have much more tourist inflow than the area’s carrying capacity. A new (mountain) range like the Himalaya will remain steady if not tampered with much. But the huge expansion of roads and transport is bringing the mountains in Uttarakhand down!! This entry was posted in Kedarnath, Uttarakhand, Uttarakhand Flood and tagged Chandan Das, Ganges, Haridwar, Himalaya, Kedarnath, Rishikesh, Uttarakhand, William Wordsworth, Yamuna on June 25, 2013 by missionsharingknowledge.